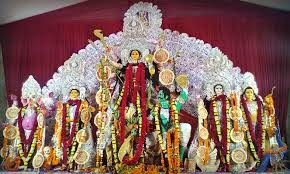 Here is Some In formation about Brindaban Matri Temple in Kolkata West Bengal India. 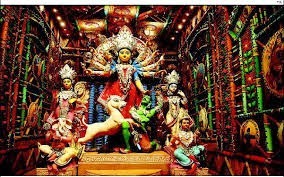 The Brindaban Matri Temple is Located in Sukhiya street, Near- Capital Nursing Home., Kolkata west Bangal.The temple was built in 1910 and built by British Rular. 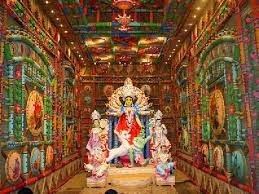 The rtemple is dedicated to Goddesh Kali(Durga).During Durga Pooja in this temple very popular celabration.Inthis temple The simplicity of Maa Durga's idol was adding glory to the already amazing ambience. They always appear with very minute and beautiful crafting works. The music is one of the strongest asset for the ambience. By Road: There is a public and Private vehicals available to reach Brindaban Matri Temple. By Rail: The Nearest Railway Station is kolkata. By Air: The Nearest Air Port is Kolkata Airport.